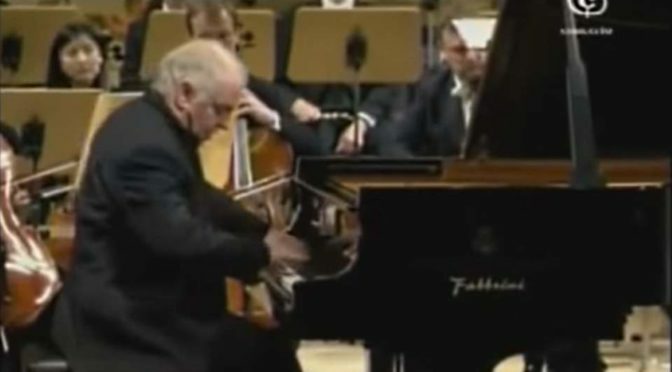 The concerto was first performed on 11 October of that year, in Warsaw, with the composer as soloist, during one of his “farewell” concerts before leaving Poland. It was the first of Chopin’s two piano concerti to be published, and was therefore given the designation of Piano Concerto “No. 1” at the time of publication, even though it was actually written immediately after what was later published as Piano Concerto No. 2. It is dedicated to the pianist, composer, piano teacher and piano manufacturer Friedrich Kalkbrenner (November 2–8, 1785 – June 10, 1849). German by birth, Kalkbrenner studied at the Paris Conservatoire starting at a young age and eventually settled in Paris, where he lived until his death in 1849. For these reasons, many historians refer to Kalkbrenner as being a French composer. The concerto is scored for solo piano, pairs of flutes, oboes, clarinets, and bassoons, 4 horns, 2 trumpets, tenor trombone, timpani and strings.